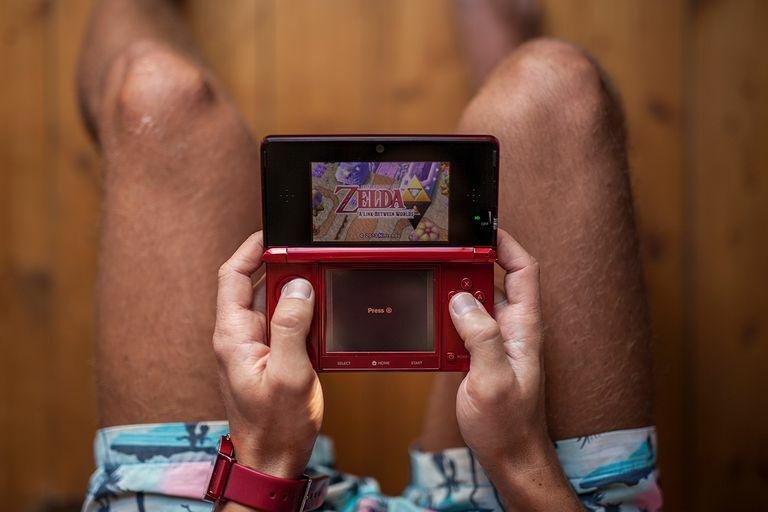 Is the Nintendo 3DS or the DSi Best for You? The Nintendo 3DS, which was launched in North America in 2011, is the successor to the Nintendo DS family of handheld gaming systems. Whereas the Nintendo DSi simply upgraded some of the Nintendo DS Lite's hardware features, the Nintendo 3DS plays a separate library of games and includes a special screen that shows off 3D images without the need for glasses. If you're deciding between the Nintendo 3DS and the Nintendo DSi, you have several factors to consider. This side-by-side comparison of the two systems will help you make an informed decision. This is an obvious point, but it's worth mentioning because of the Nintendo 3DS's lauded 3D display. The 3DS's top screen can display a game's environments in 3D, which grants the player a better sense of depth. The 3D effect helps immerse the player in the game's world, but it can also affect gameplay. In the game Steel Diver, for instance, the player sits behind a submarine periscope and fires torpedoes at enemy subs. By using 3D, you can easily tell which enemy subs are closer (and thus more of a threat) and which are farther away. You can turn down or turn off the 3D effect entirely. In certain 3DS games, you can control the on-screen action by tilting the 3DS unit up and down or by turning it side-to-side. This is all thanks to the magic of a built-in gyroscope and accelerometer. Not every game uses these features, however, and many that do also let the player use a traditional control scheme. Star Fox 64 3D is an example of a 3DS game that makes heavy (though still optional) use of the accelerometer. If you buy a Nintendo 3DS, you won't have to leave your DS library behind. The 3DS plays DS games (and, by extension, DSi games) via the game card slot in the back of the system. DSiWare is Nintendo's term for original, downloadable games developed for the DSi. Both the Nintendo 3DS and DSi can download DSiWare as long as you have access to a Wi-Fi connection. Nintendo's eShop, accessible through the 3DS via a Wi-Fi connection, is stocked with retro Game Boy, Game Boy Color, and Game Boy Advance titles. You can download and play these blasts from the past for a price. If you're a Nintendo 3DS Ambassador, you may qualify for free Game Boy Advance downloads. The pudgy avatars that defined the social Wii experience are now on hand to help you personalize your 3DS — only now, you can create a Mii from scratch or take a photo of yourself with the 3DS's camera and sit back while your face is instantly rendered Mii-style. You can share your Mii with other 3DS owners, even when you're carrying the system around in Sleep mode (closed). Wii owners also can transfer their Miis to their 3DS but not vice versa. The Nintendo 3DS comes preloaded with software that's meant to show off its 3D capabilities and help you enjoy the system's features to their fullest. This software includes the eShop (where you can download Game Boy and Game Boy Advance games), the Mii maker, the Mii Plaza (where you can organize and swap your Miis), and an internet browser. You have access to augmented-reality games such as Face Raiders and Archery that use the 3DS's cameras to bring backgrounds to life and place them in virtual worlds. The 3DS can play mp3 and AAC music files from an SD card. The DSi can play AAC files from an SD card but doesn't support mp3 files. Thanks to its two external cameras, the Nintendo 3DS lets you say "Cheese!" in the third dimension. The Nintendo DSi can take pictures too, but not in 3D. Of course, the Nintendo 3DS can also take 2D pictures.